It may be winter, and tourist season in Branson is officially over, but there’s no need to stay home and let cold weather doldrums get to you. There is still plenty of fun to be had around town. Here are some ideas to get you started. Grand Country Fun Spot on Hwy 76 has a mini arcade as well as laser tag, indoor go-karts, mini golf and much more. Their winter hours: Weekdays 11:30 a.m. – 8 p.m., Friday, 11:30 a.m. – midnight, Saturday 9 a.m. – midnight, Sundays 9 a.m. – 8 p.m.
Arcade City at the Branson Landing is open every day from 9 a.m. – 10 p.m. They offer plenty of games for all ages and skill levels. Track 4 on west 76 by the Branson Ferris Wheel is open 10 a.m. – 5 p.m. every Saturday and Sunday, depending on weather and foot traffic. Fun Mountain down at Big Cedar Lodge won’t disappoint. Offering an arcade as well as a bowling area, billiards, climbing wall, laser tag, bumper cars and a golf simulator, there is something here for everyone! Winter hours of operation are 4 – 8 p.m. weekdays and noon – 8 p.m. on weekends. 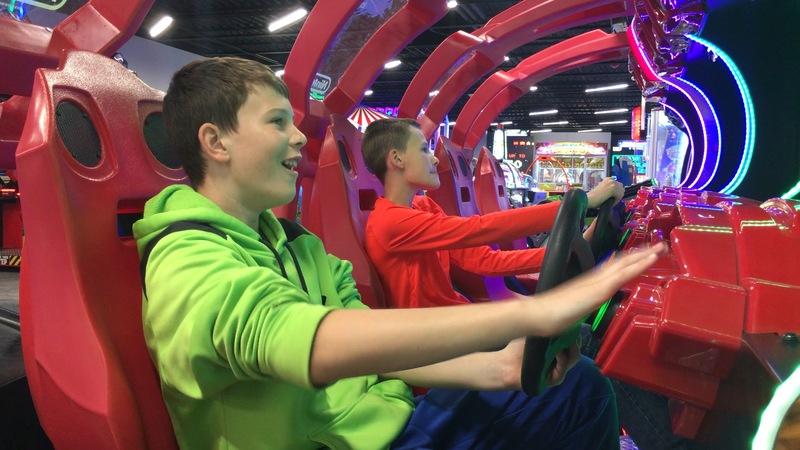 For indoor amusement, Bigfoot on the Strip offers both an arcade and an 8D adventure ride, complete with laser guns and 3D glasses. Open daily from 10 a.m. – 6 p.m. weekdays, and noon – 6 p.m. on Saturday/Sunday. 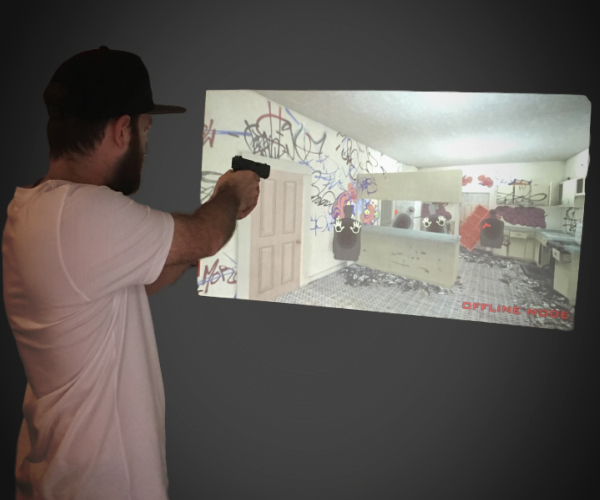 Perfect Shot (located on west 76) lets you pick your adventure of choice, with multiple virtual realms, challenges and gun simulators offered for the whole family. From January 22nd – February 24th, you can join a men’s or women’s shooting league, with $500 in cash prizes offered. Enrollment is $35 per person, plus $5 each week that you chose to come in to score – you can enroll on their website. While most shows in Branson take an off-season, there are a couple spots in town that offer year-round entertainment. 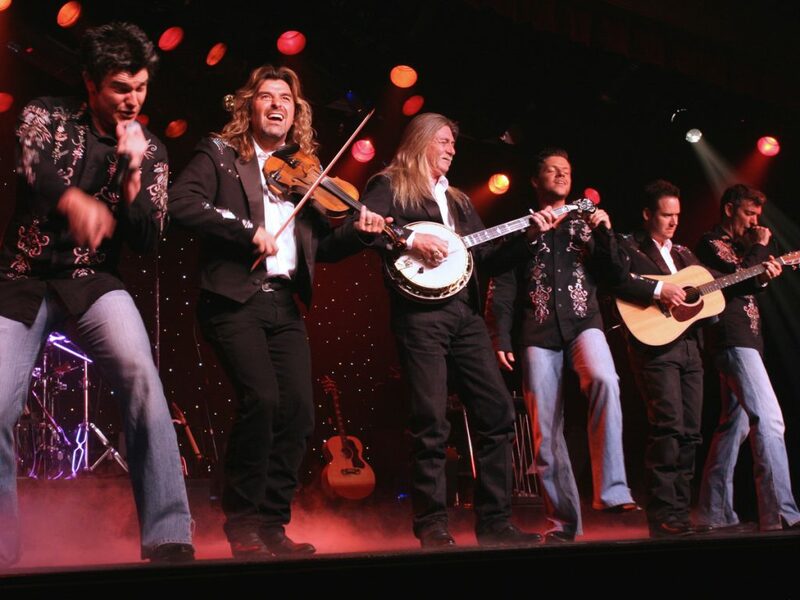 The Little Opry Theatre at the IMAX Complex features George Jones & Friends Friday – Sunday evenings at 5 p.m., and the Peterson Family bluegrass band on Saturdays at 7 p.m. In February, Sons of Britches return to the stage as well. 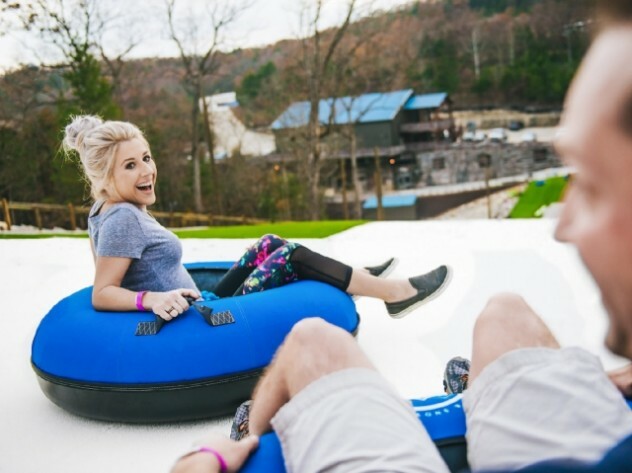 Winter weather means it’s perfect for snow tubing! The SnowFlex Tubing Hill at Wolfe Creek (7 miles north of town off Hwy 65) is open during winter season on Fridays and Saturdays, from 10 a.m. – 8 p.m. and on Sundays from 10 a.m. – 6 p.m. The 400 foot synthetic snow hill allows up to six people to tube down at a time. 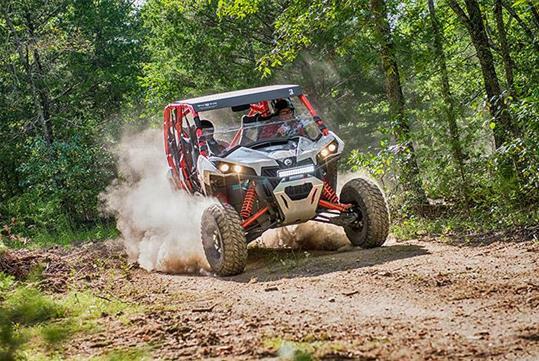 During the quiet season, Shepherd of the Hills brings it up a notch, with self-driven off-road ATV adventures. Instruction for operating the ATV is given, then you’re ready to head out on the backwoods trails, with up to four people in a vehicle. One hour and 1 ½ hour excursions are available Thursday – Sunday. 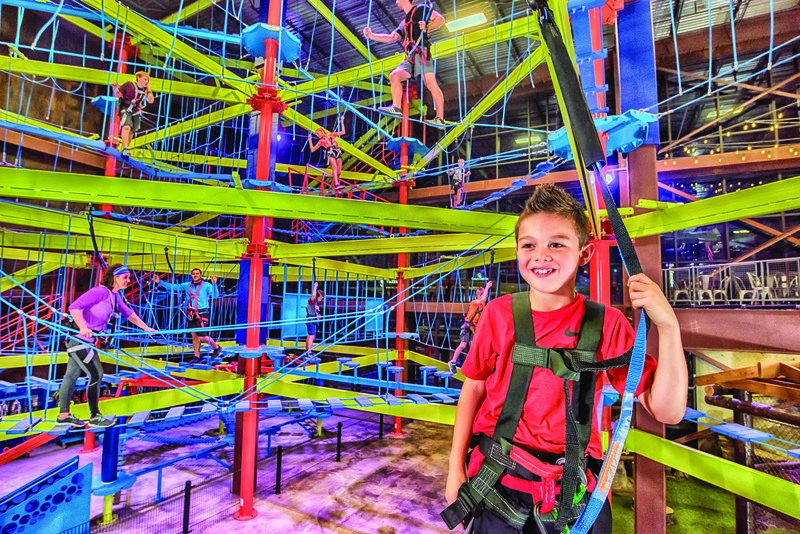 Fritz’s Adventure offers all the thrills of outdoor activities – inside. 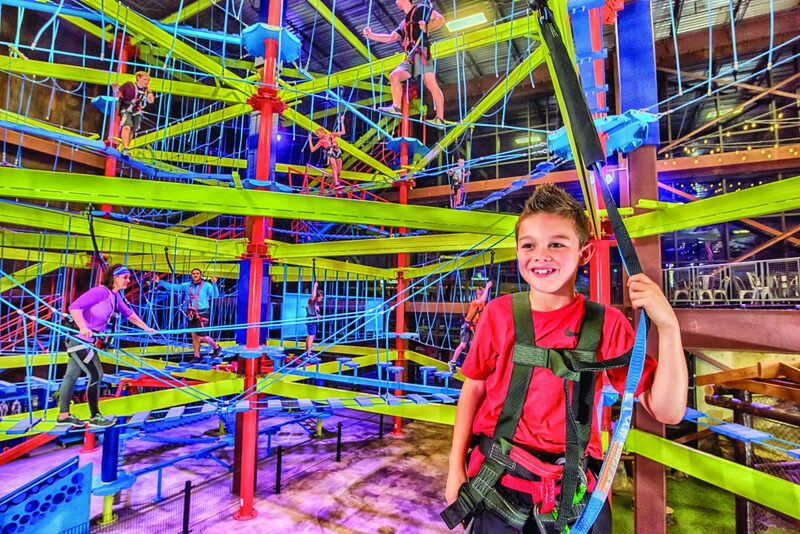 Designed for the whole family, an entire afternoon or even he whole day can be spent testing your agility on the ropes course obstacles, exploring the underground tunnels, wall rock climbing or trying out the warped walls challenge. During January and February, Fritz’s is open from 10 a.m. – 8 p.m. Fridays & Saturdays, and from 10 a.m. – 6 p.m on Thursdays and Sundays. Sycamore Creek Family Ranch (just east of town on Sunset Inn Road) hosts regular family-friendly, multi-generational barn dances. 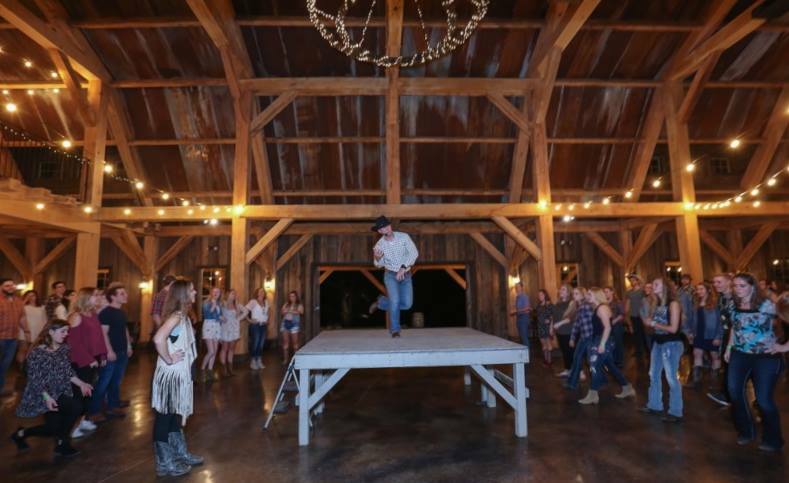 The large barn is warm and cozy, refreshments are available for purchase, and there’s always a dance expert to provide a bit of instruction – no dance experience required! Check out their Facebook page for upcoming dates. Why limit enjoying a waterpark to the summer season? Splash Country at Grand Country Resort features a three-story treehouse, multiple slides, a lazy river and hot tubs, all in the comfort of the indoors away from the weather. Area residents get admission for only $5 with local ID until March 8th. 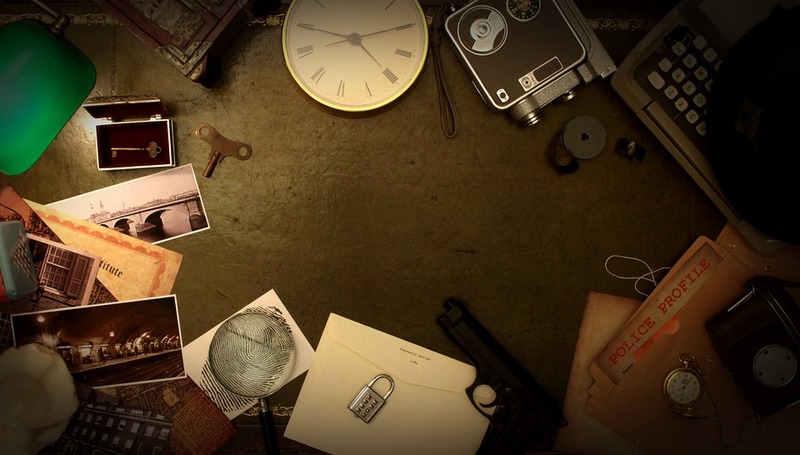 Gather friends and family and spend an hour in a team-building escape room. Work together against the clock to discover the clues needed to solve the mystery to unlock the door. The Escape Branson, downtown on Commercial Street, is open every day during the winter, 9 a.m. – 9 p.m. (9 a.m. – 6 p.m. on Sunday.) They have 3 room themes, with up to 6 players to in a room. Cryptex, on west 76, offers four different scenarios with 2 – 8 players each. Their winter hours are Fridays and Saturdays from noon – 8 p.m.